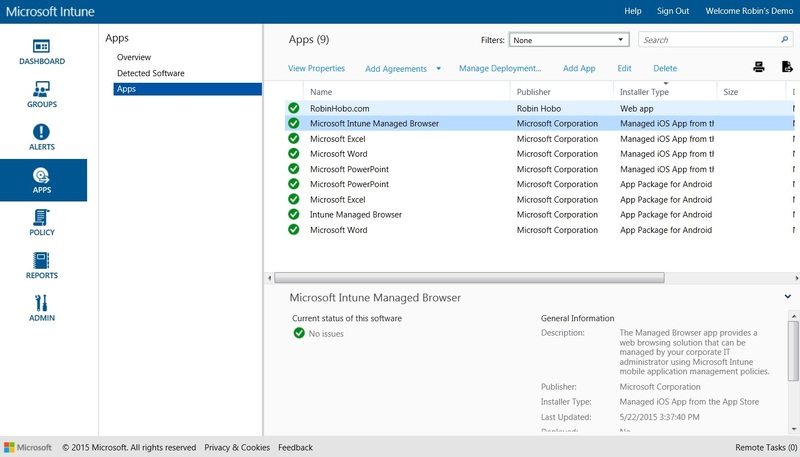 With Microsoft new announcements about this new features I became curious about Microsoft Intune and all it’s possibilities. 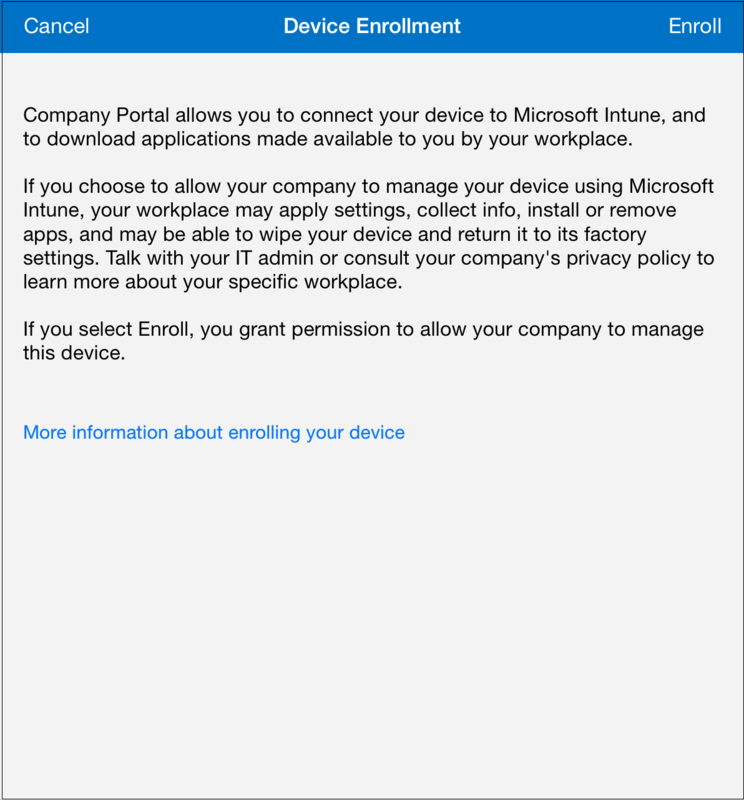 Beside that I’m getting more and more questions about Microsoft Intune from customers. 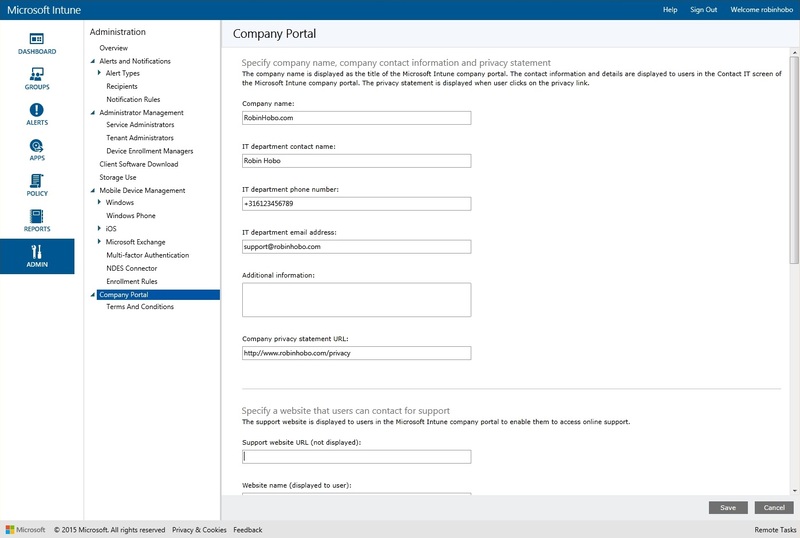 I know Microsoft Intune integrates perfectly with Microsoft Office 365 and Microsoft System Center Configuration Manager (SCCM). 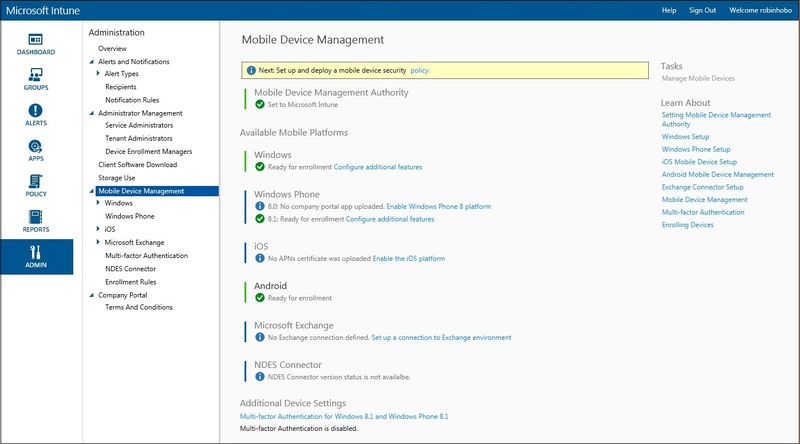 But what about the Mobility management features in Microsoft Intune as a “stand alone” product? Time for a first look and lets find out! 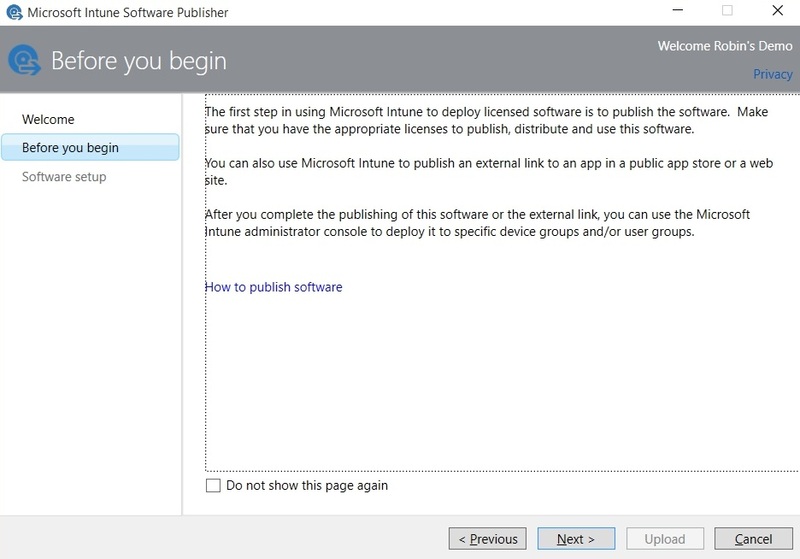 The first step is to create a Microsoft Intune account. 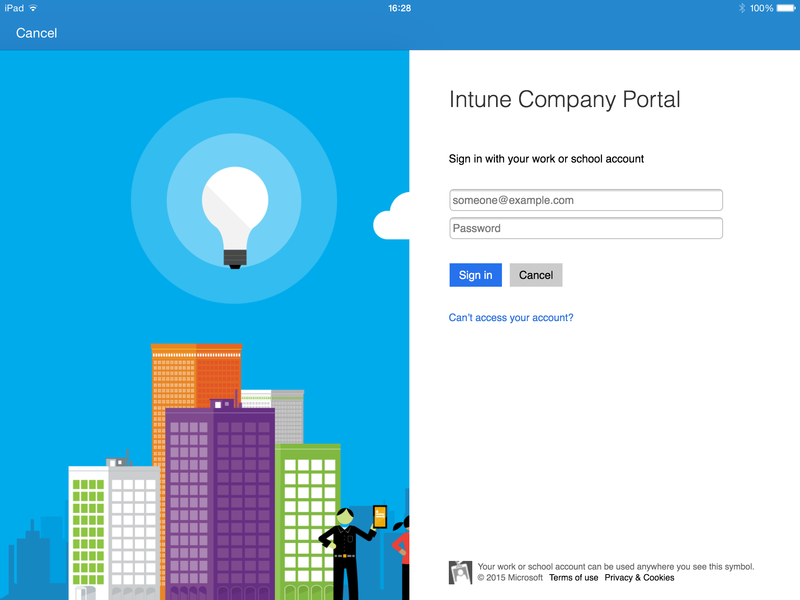 You can create a free trail account at the Microsoft Intune website (link). 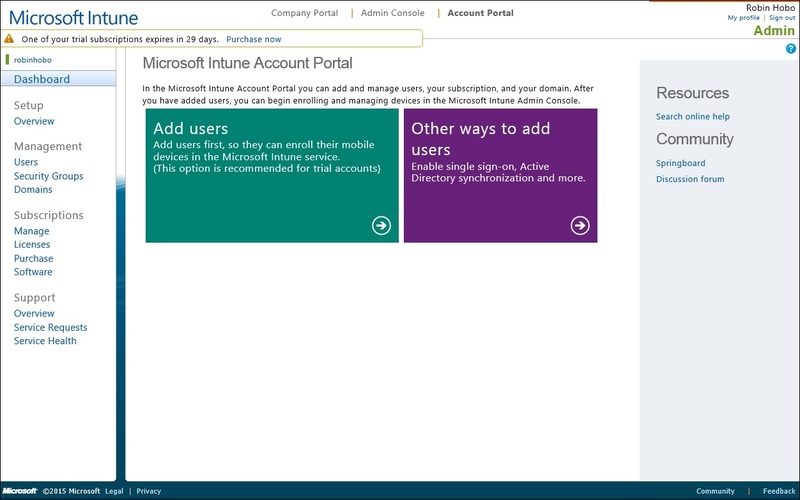 After creating a Microsoft Intune account it’s time to create users, or configuring Single Sign-on by using AD FS or Azure Active Directory. Next you need to verify your domain. You can do this by creating a TXT or a MX DNS record. In this window you can see which DNS record must be created. 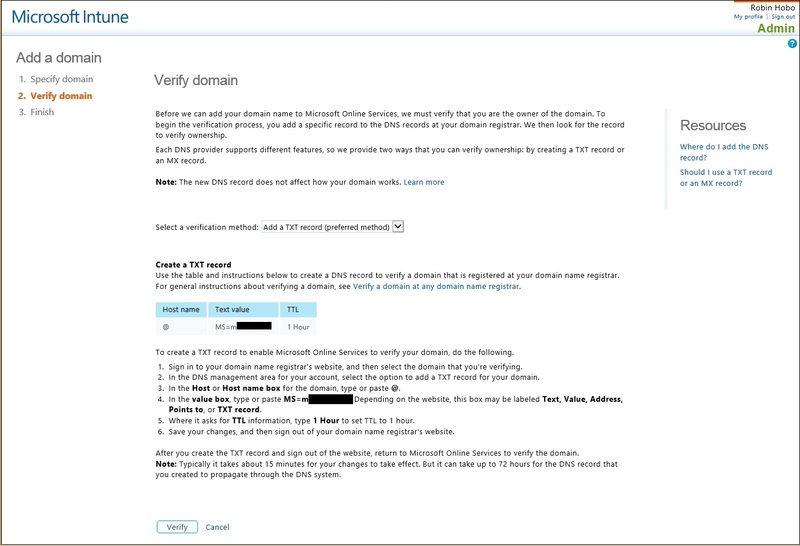 Click Verify after the DNS record is created. 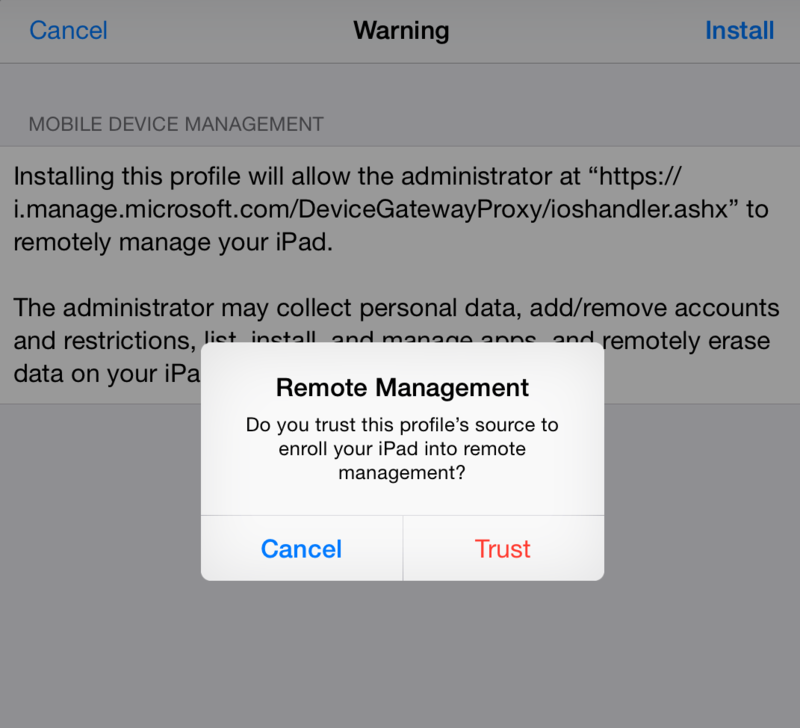 Before you can manage mobile devices you need to set the Mobile Device Management Authority. 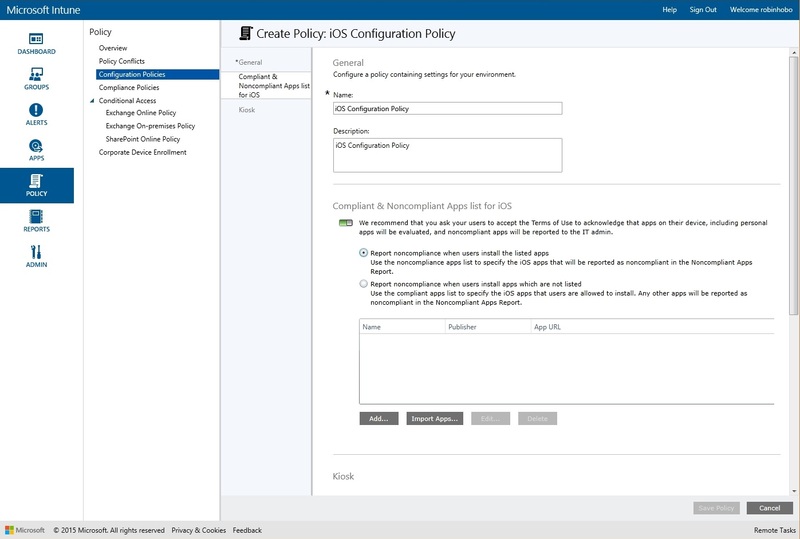 This can be set to Intune itself or Microsoft System Center Configuration Manager (SCCM). For some type of Mobile Devices we need to do some preparations before they can be managed. 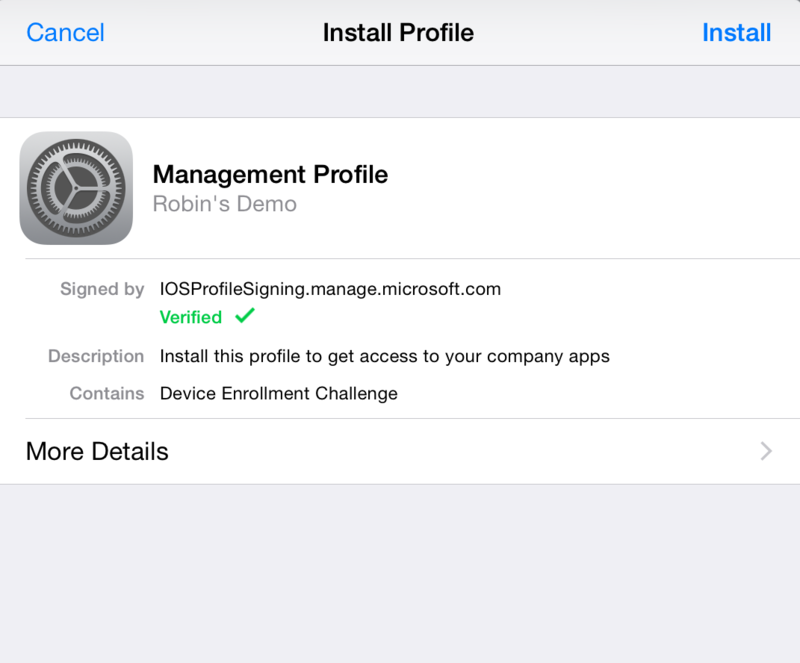 For example, for Windows Phone 8 you need to get a code signing certificate from Symantec and for iOS you need to create and sign an APNs Certificate. 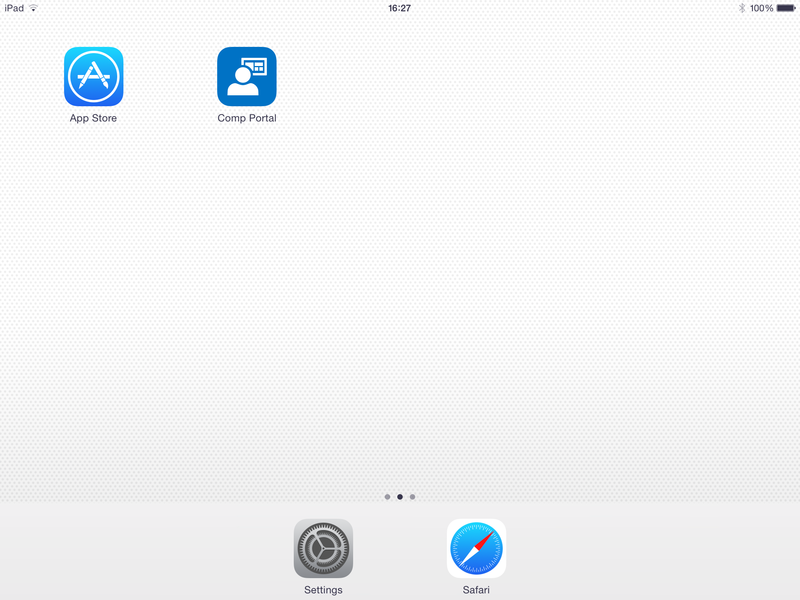 For this blog I will enrol an iOS device. 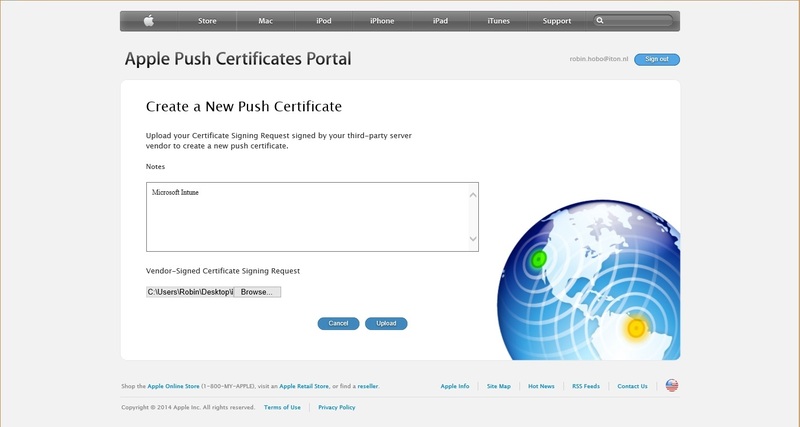 Therefore I will show you the steps to create an APNs Certificate. Before you do this make sure you have an Apple Account. If you don’t have one you can create it here for free. 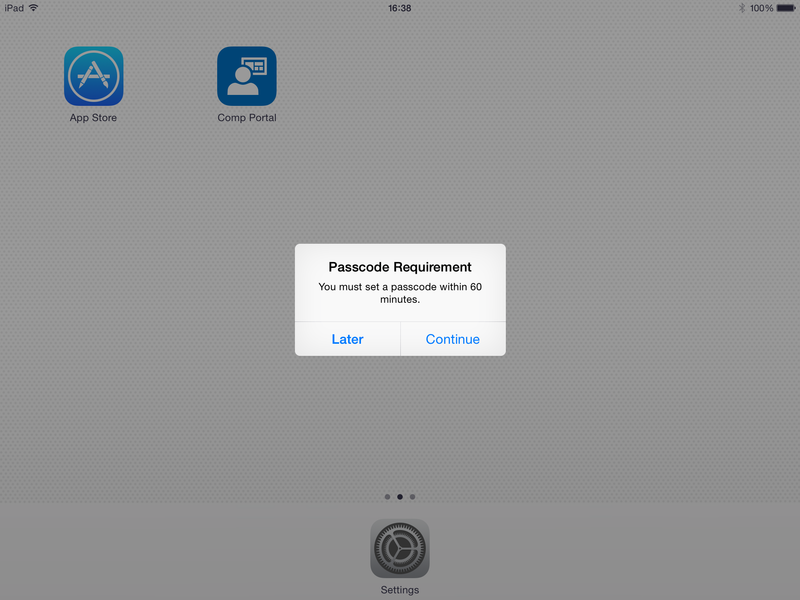 Click on Enable the iOS platform. 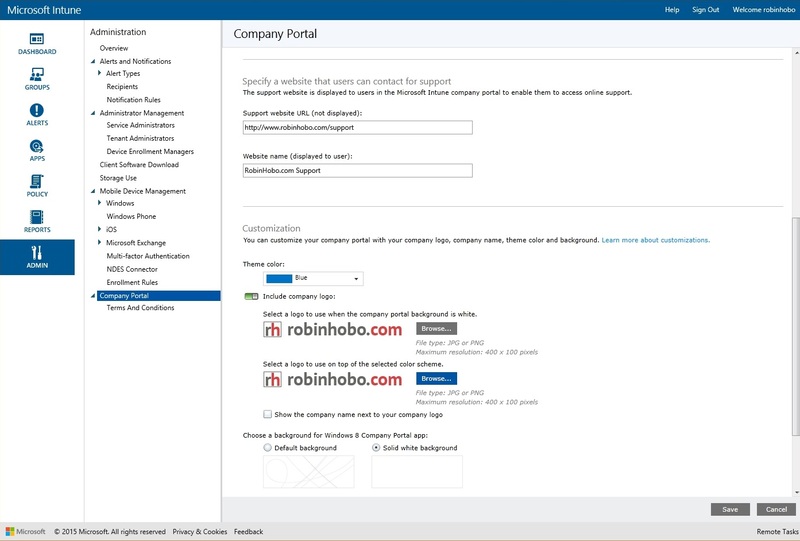 You have the ability to customize the Company Portal with logo’s and custom information. I will show some options in the following steps. You can also apply custom Terms And Conditions. 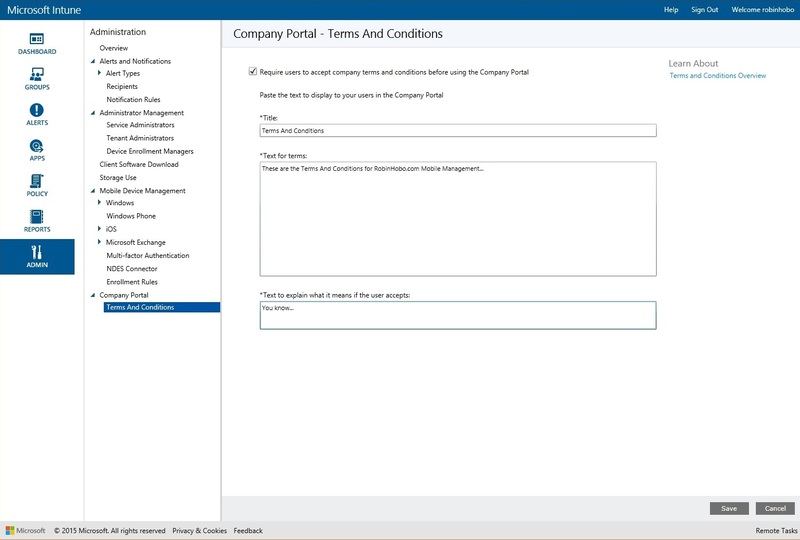 Therefore browse to Admin > Company Portal > Terms And Conditions. 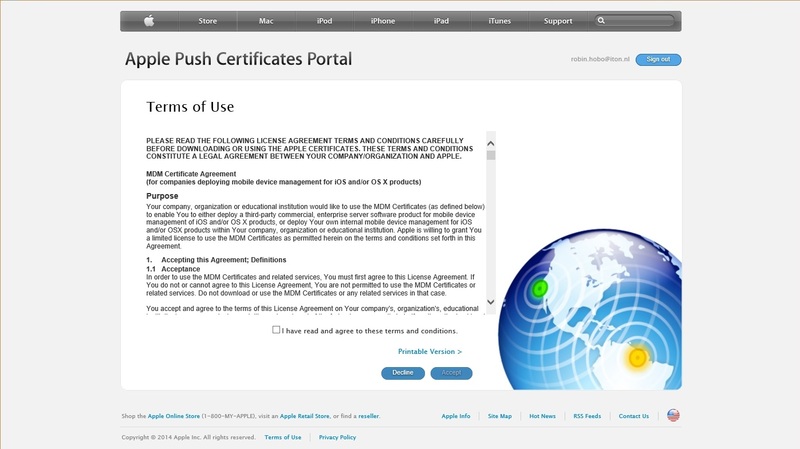 This will be displayed and must be accepted when the user enrols his device. 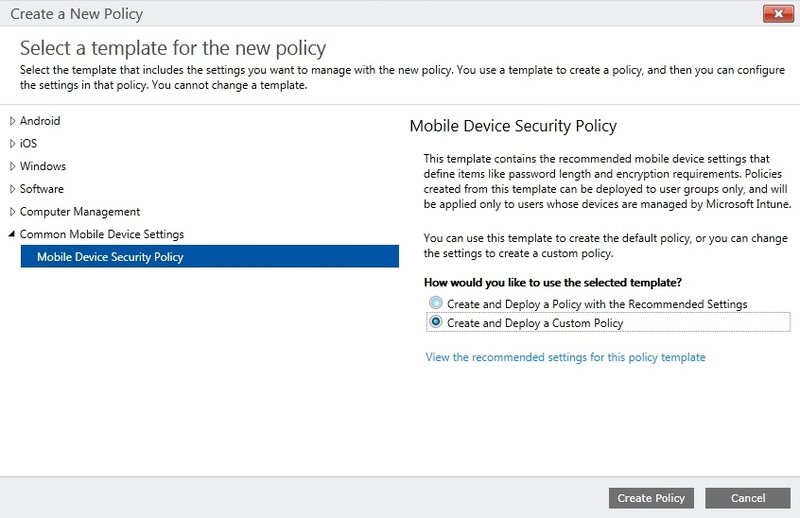 In the next steps I will create some policies, starting with the Common Mobile Device Security Policy. 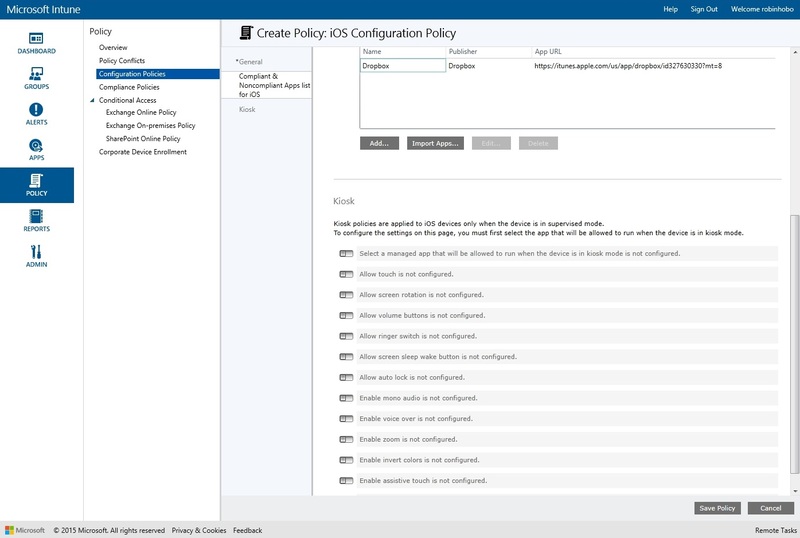 Browse to POLICY > Configuration Policies. On the right side of the screen click on Add.. 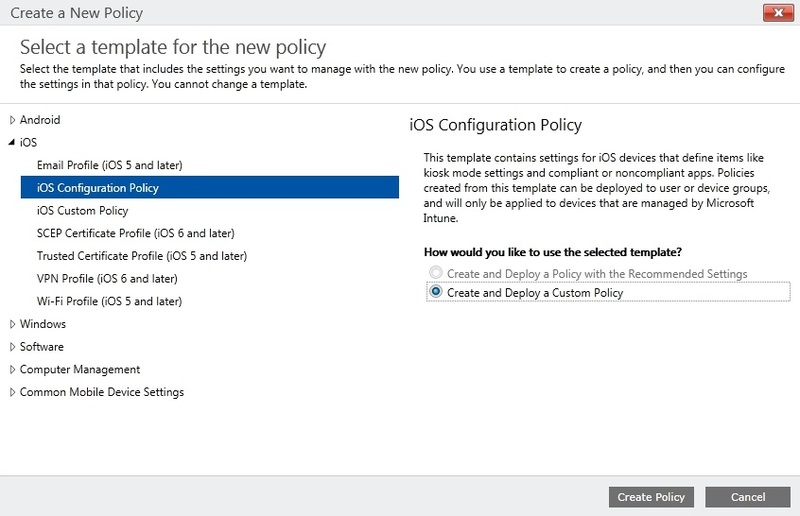 In the next step I will create an iOS Configuration Policy. 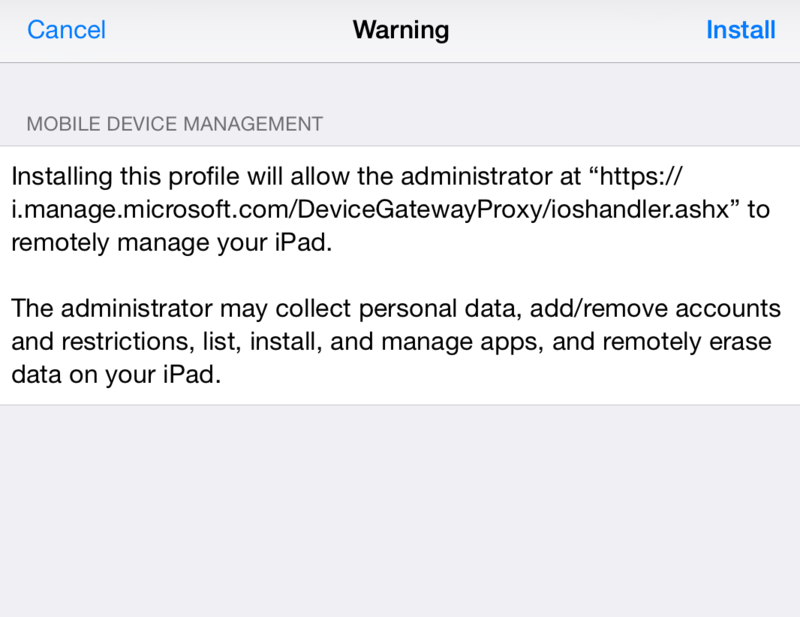 For this blog I will give it the name iOS Configuration Policy. 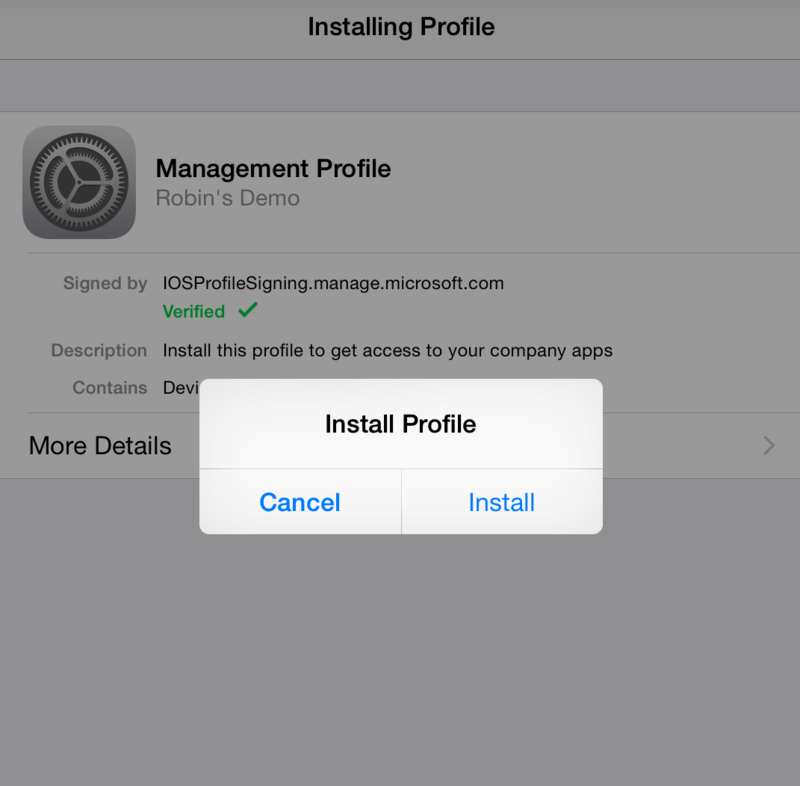 Select Report noncompliance when users install the listed app. Click Add..
For this test I will block https://www.facebook.com and https://www.dropbox.com. 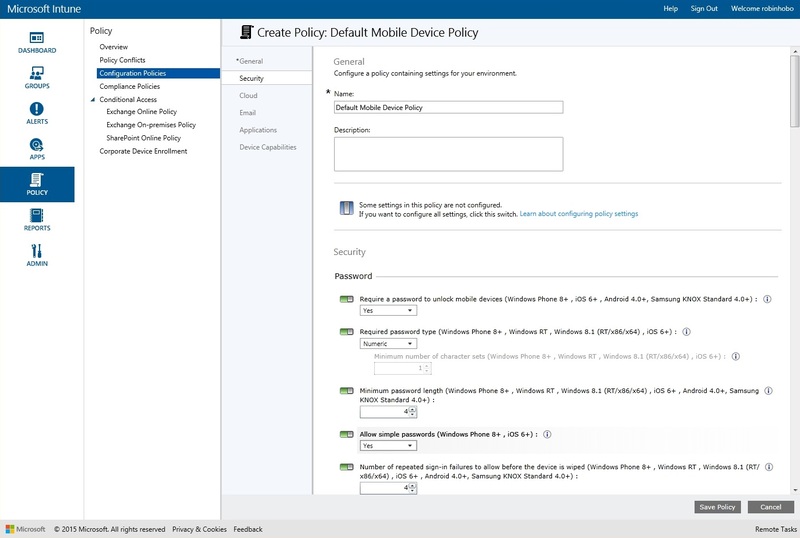 In the last policy that I will create for this test I will configure the Mobile Application Management Policy. This one is to restrict data exchange between the applications. I leave everything default so that data exchanges is prevented. 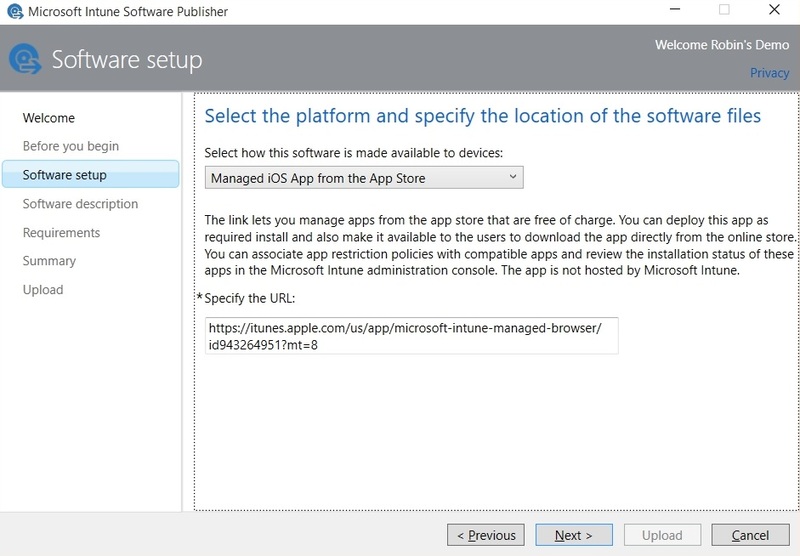 Select Managed iOS App from the App Store and copy the URL from the specific application (store URL to app). 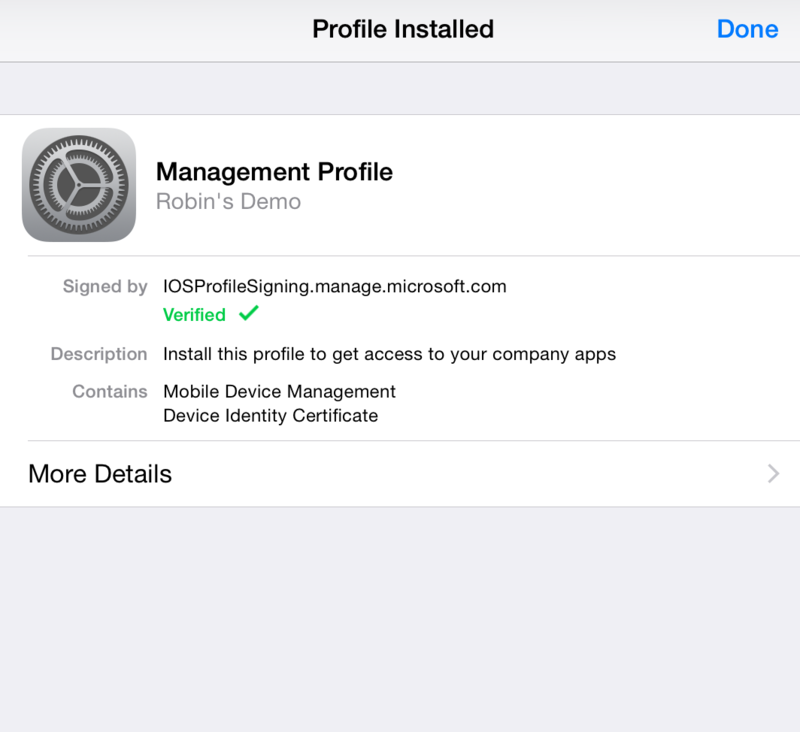 In this case to the Microsoft Intune Managed Browser app from the iTunes store. 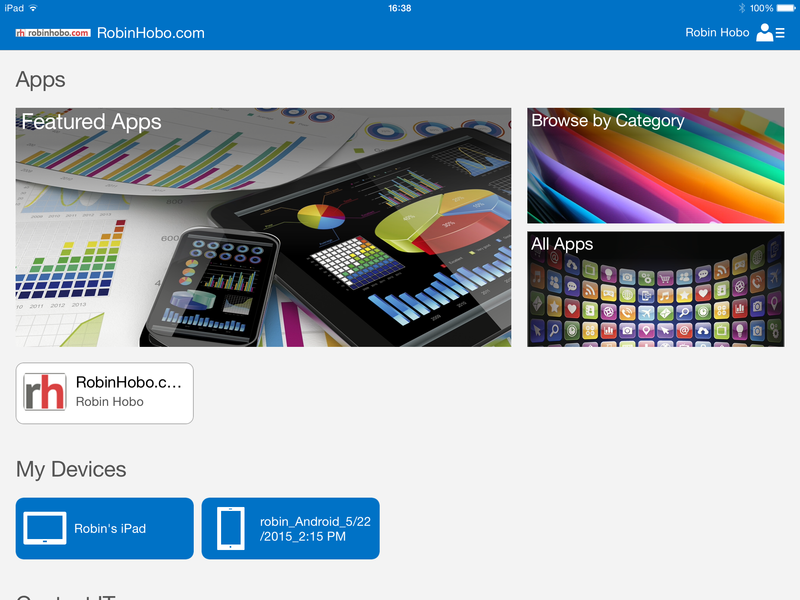 You can repeat these steps for all the applications you want to publish, for now I will publish the Managed Browser, Word, Excel and PowerPoint for both iOS and Android. So we created the policies and added the applications. 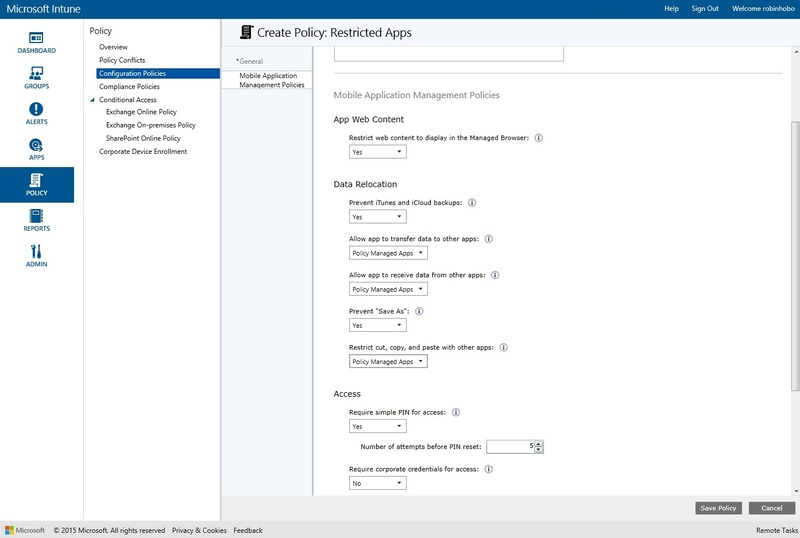 The next step is to link these two and make the applications with the correct policies available in the Intune Portal on the mobile device. It’s time to test all the policy settings on a device. 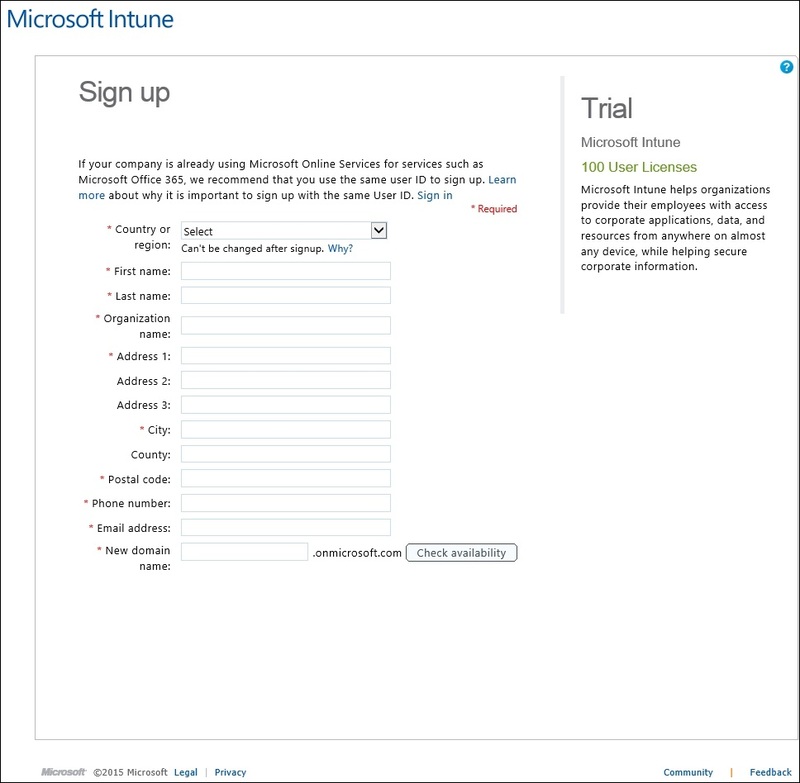 For this test I will enroll my iPad with Microsoft Intune. 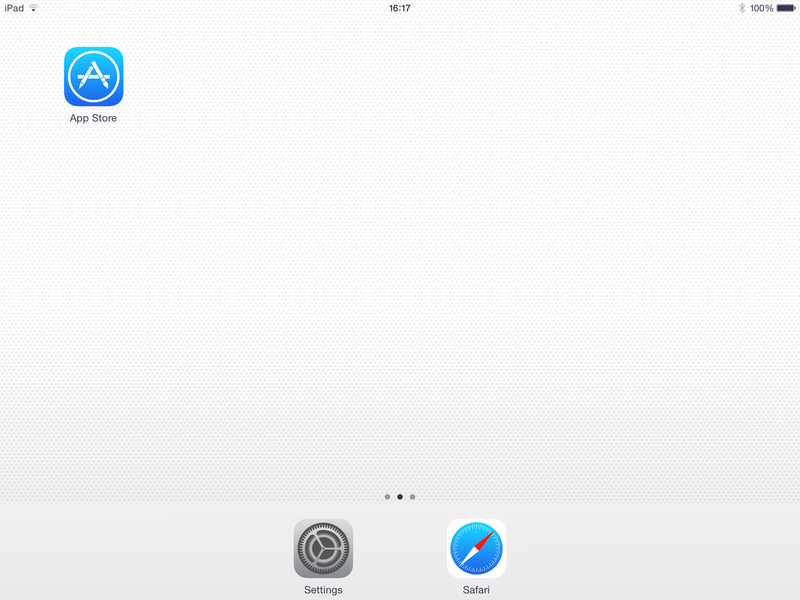 After Installing all the Apps (inluding the link) my iPad looks like this. Note that the Safari browser app has disappeared, which is good. 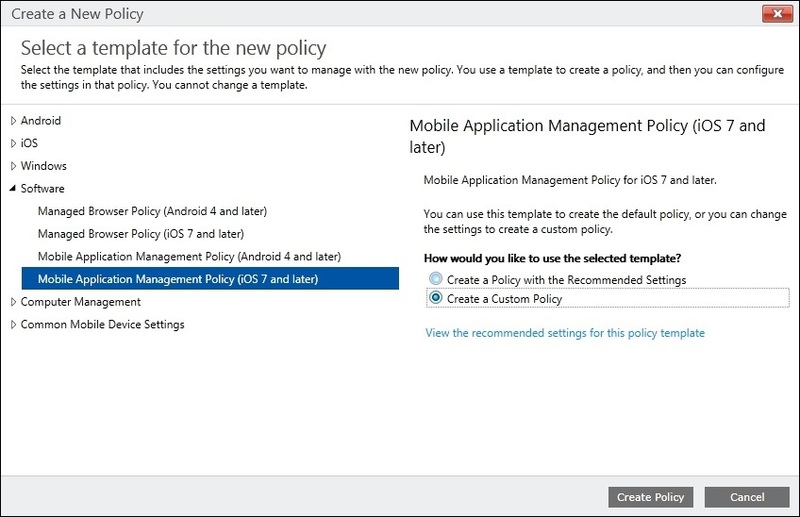 The copy and past function between managed apps is possible and between managed apps and non-managed apps not, so that policy works great! 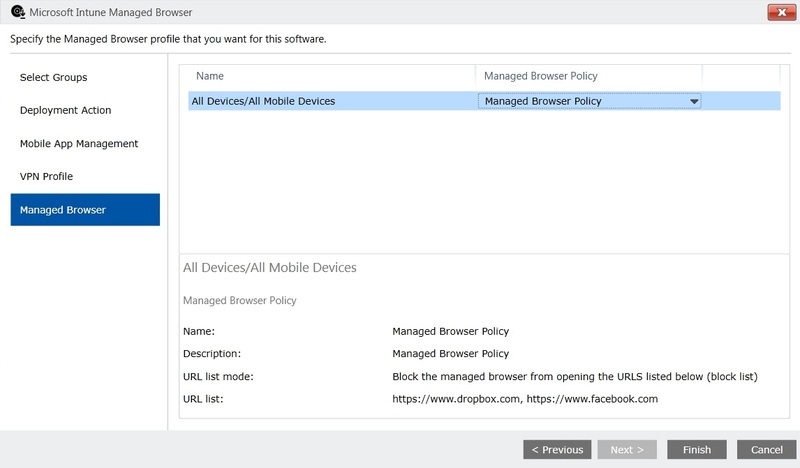 Also when opening the Intune Managed Browser and open the Facebook.com or Dropbox.com website I get the Alert as shown above. So that policy works as well. 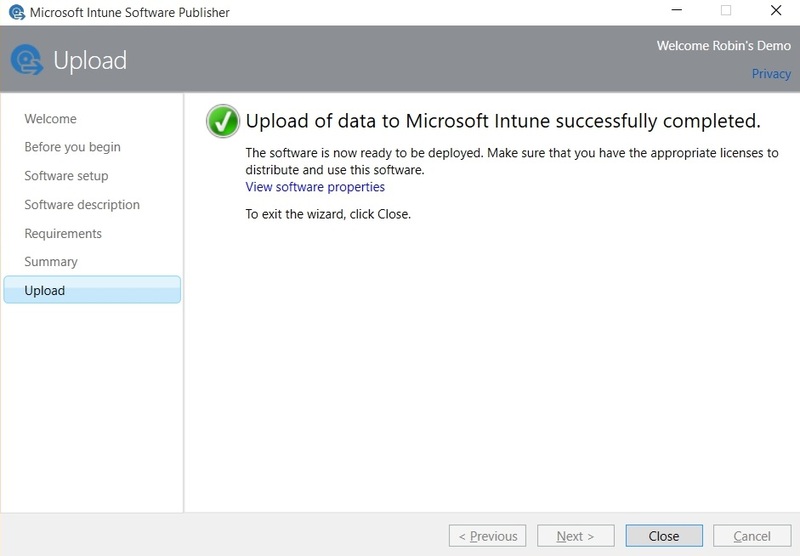 Microsoft Intune is easy to setup without the need to enroll new servers in your current infrastruction. I had it up and running in a few minutes (see blog above). 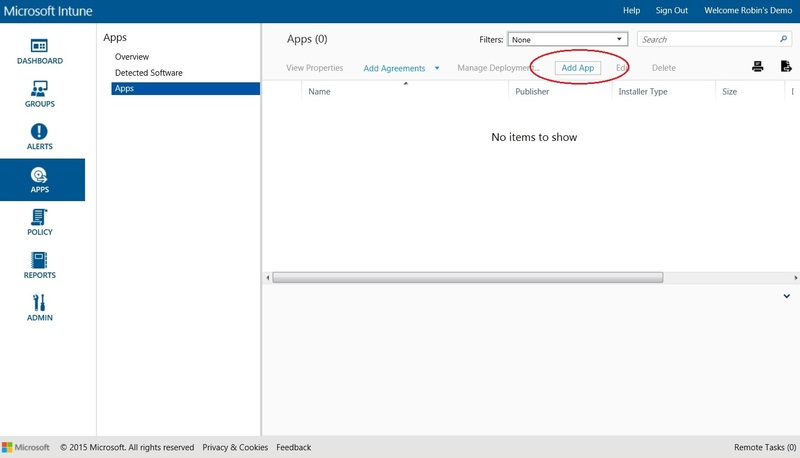 The webinterface / console is easy to use and requires no explanation. 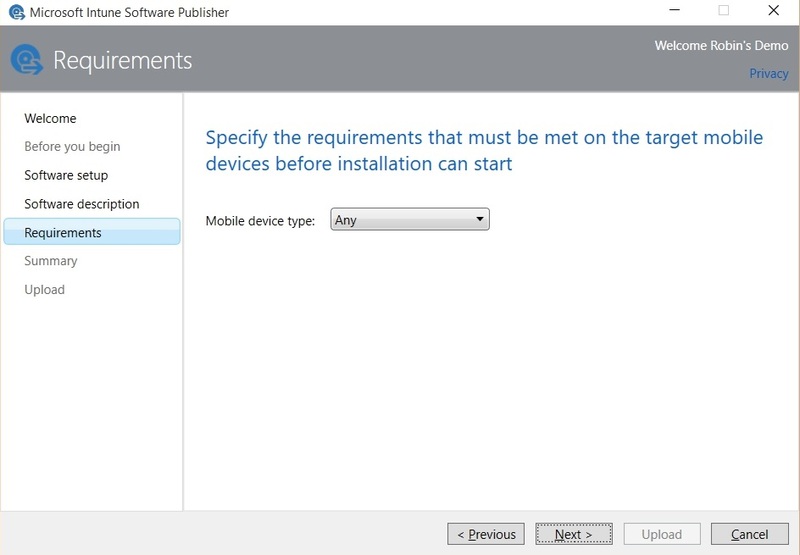 Beside mobile devices it’s also possible to manage Windows updates for Windows devices and configure end point protection. 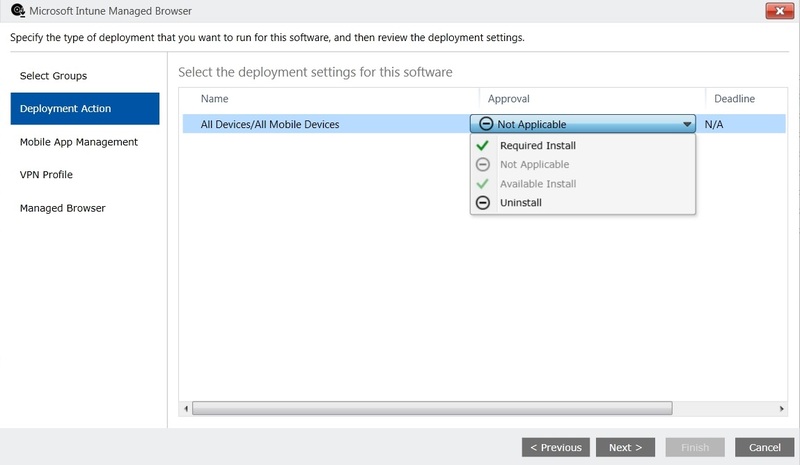 For Mobile Device Management (MDM) the basic features are available and works fine. I can wipe/retire my device, do a remote lock and do a password reset and see the device properties . 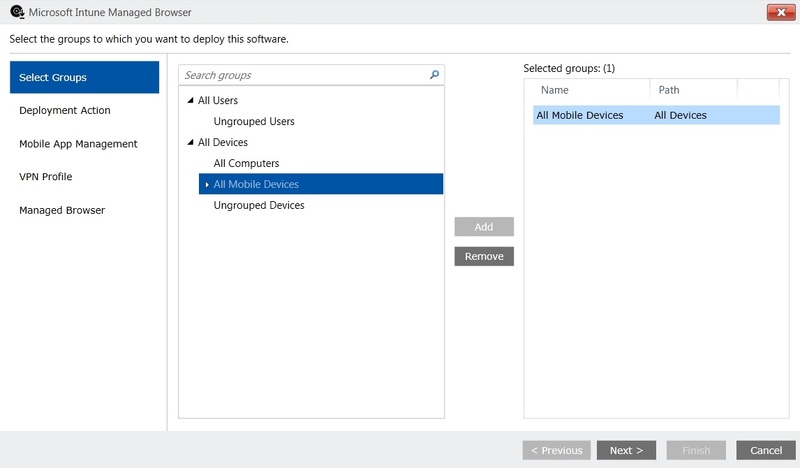 Personally I miss the option to locate the device and to do a software inventory (for all apps and not only the installed apps from the Company Portal) but that is a deliberately choice of Microsoft to omit these options. 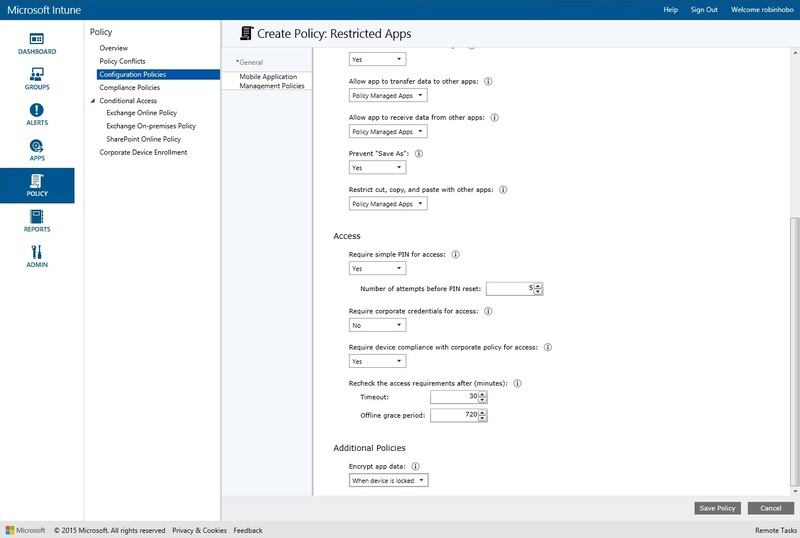 For the Mobile Application Management (MAM) it’s great that you have the option the create a policy and apply the same policy to several applications. 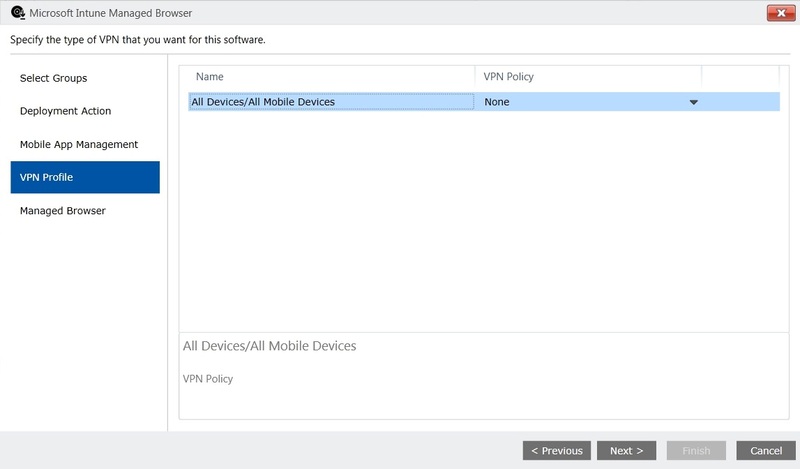 Also the VPN policy which allows you to setup a “Per-App” VPN connection is a great feature. 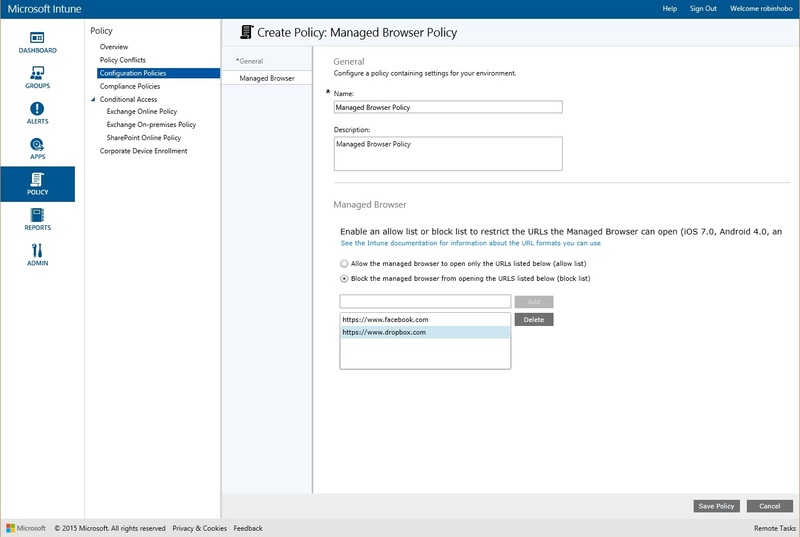 The Managed Browser policy works really good, and totally in combination with the option to disable the native browser on the device (Safari). 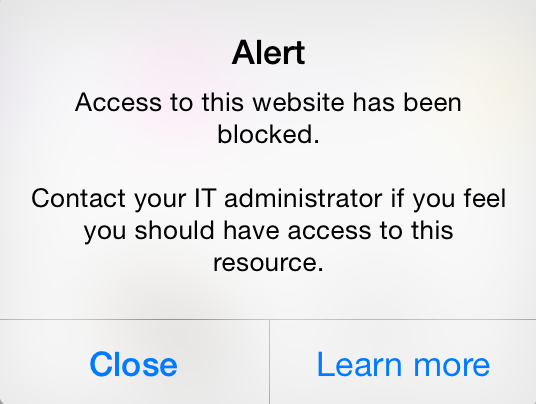 I was able to block some websites (see blog above). The only drawback is that the published links from the Company Portal do not want to open with the Managed Browser, but perhaps I should published these links in a different way (I have to figure that out yet). The Managed Application policy works good, I was able to block data exchange between managed and non-managed apps and set a pincode on the managed apps. 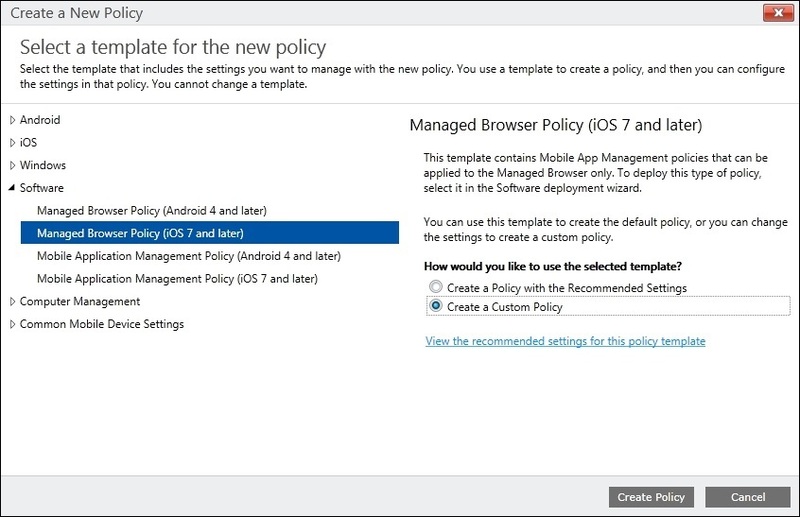 The fact that you can managed applications with policies without the need to wrap them first is really cool! Microsoft has a monthly update schedule, and I am very curious about the future developments, especially in combination with other products from the Enterprise Mobility Suite! – what can you do in terms of blocking an app from being installed or executed? 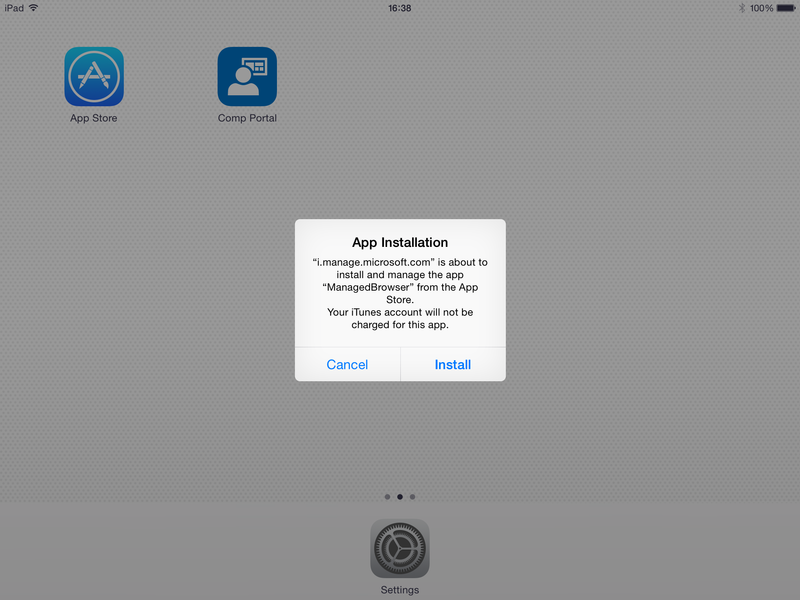 Hi Chema, I was able to block content/data exchange between the managed apps and the non-managed apps. 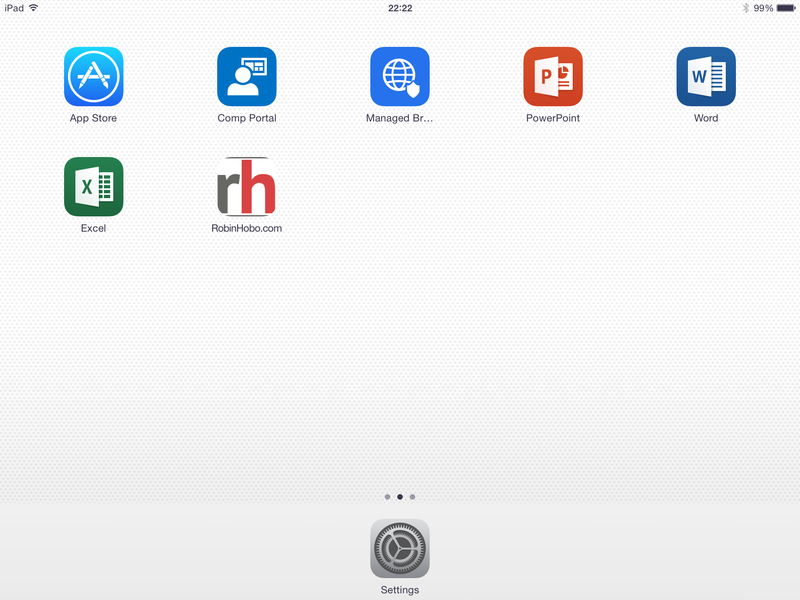 See blog and link to managed apps. 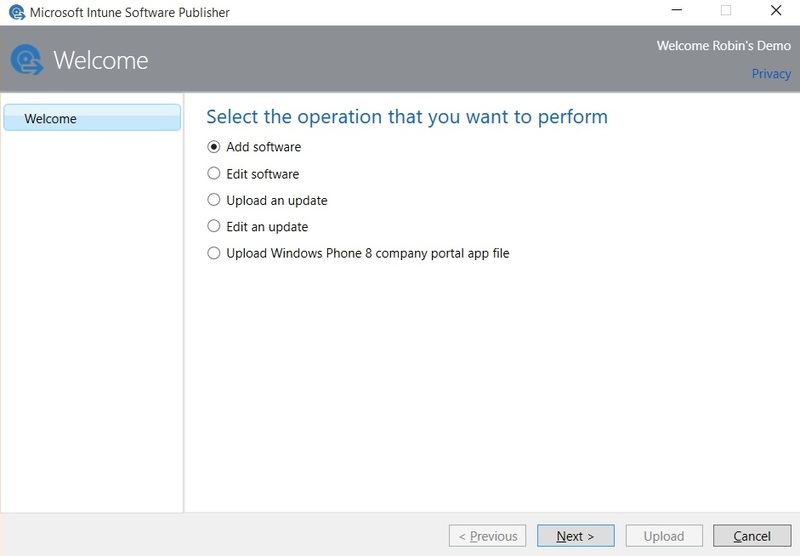 On Windows Phone you can prevent the installation of listed apps. On Android and iOS you can’t. 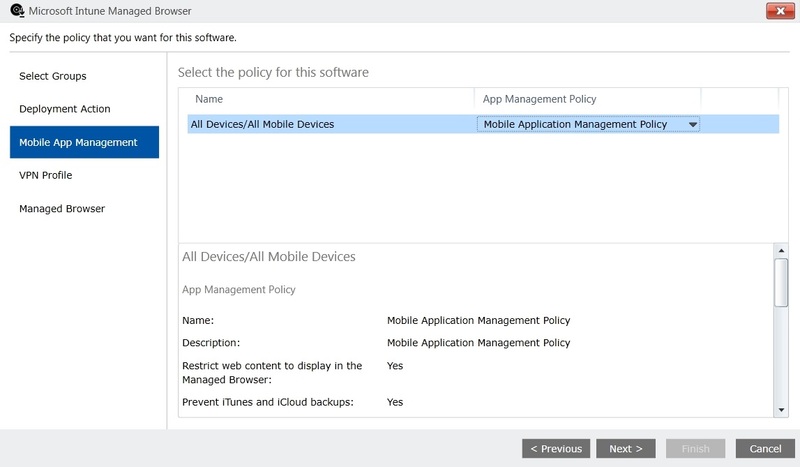 Is Azure AD premium a requirement for only intune (not ems)? 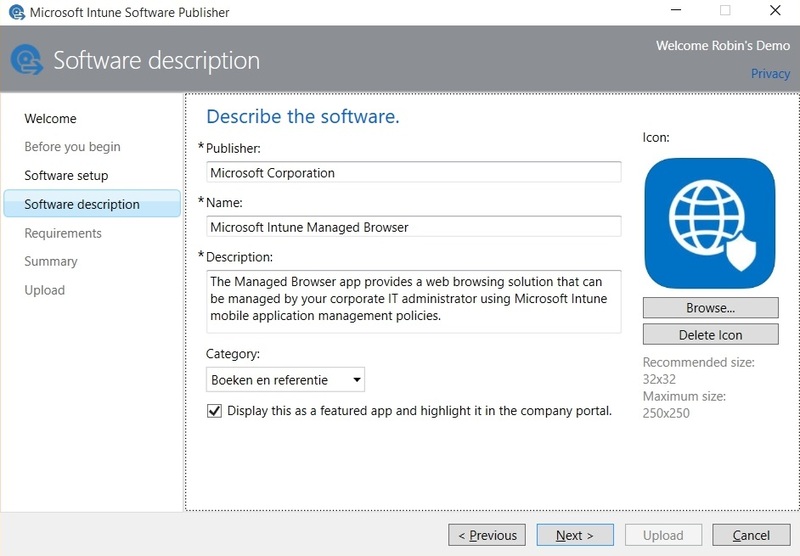 Or if you purchase intune you also get ems and/or azure ad premium? 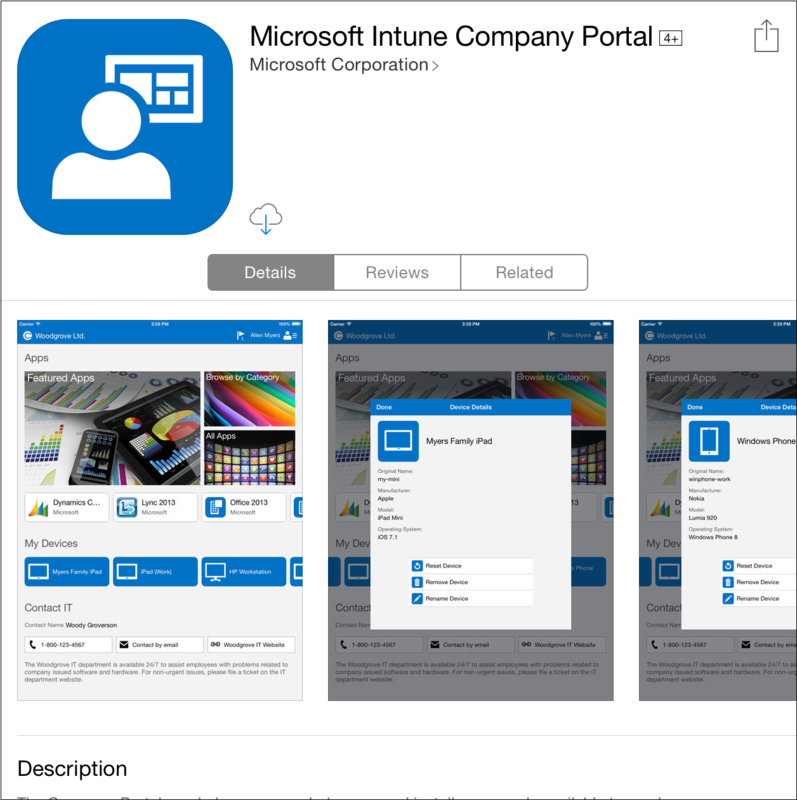 Hi Erik, No, you can purchase Intune as a “Stand Alone” product. 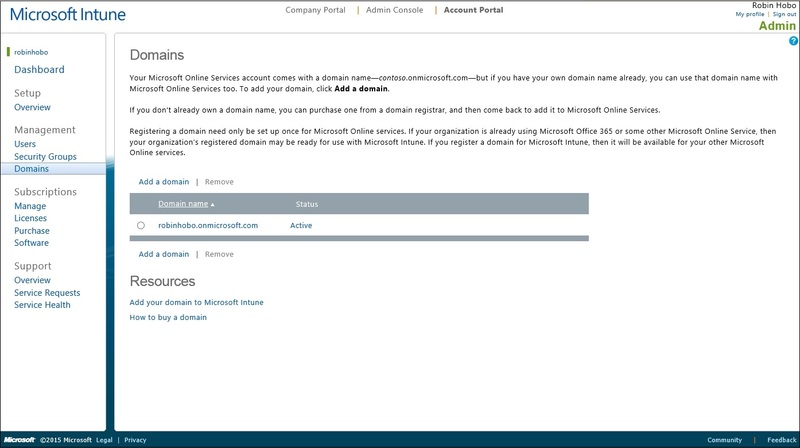 EMS includes the Azure AD premium but is not necessary. I am facing a strange problem with device auto enrollment. 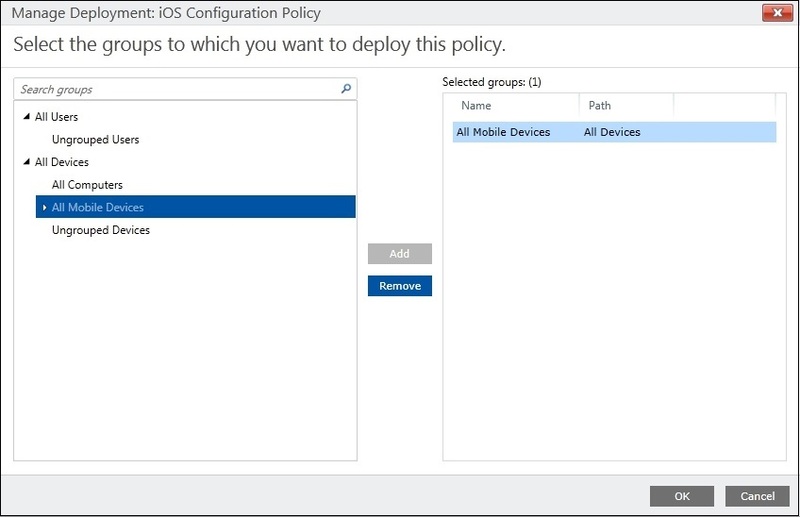 I a have configured auto enrollment in azure AD following exactly MS documentation, But when ever i joined a WIN10 device to Azure AD it doesn’t show up on intune , neither under user profile ->devices old azure portal, where it shows on azure on new azure portal with all device details (AZURE joined, Managed bu intune, Compliant, .., etc). i would highly appreciate you advice to fix the issue. Has the user you are using has an EM+S license assigned? 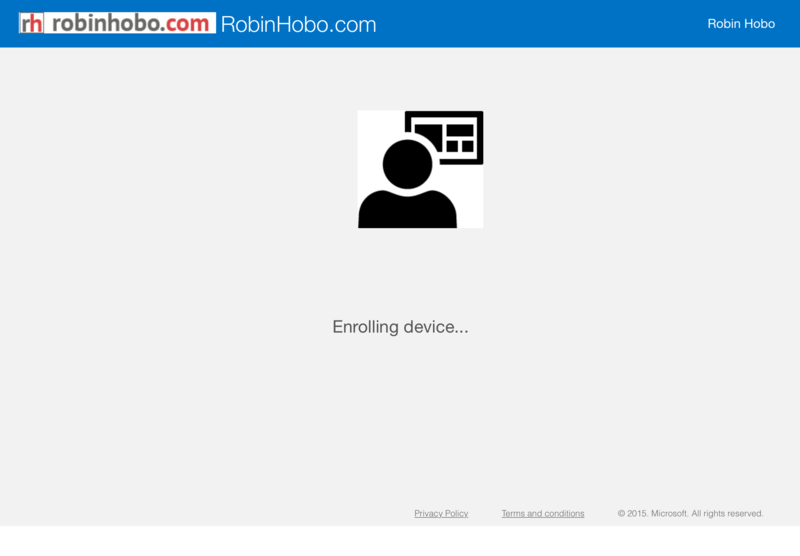 How many devices has the user enrollend? 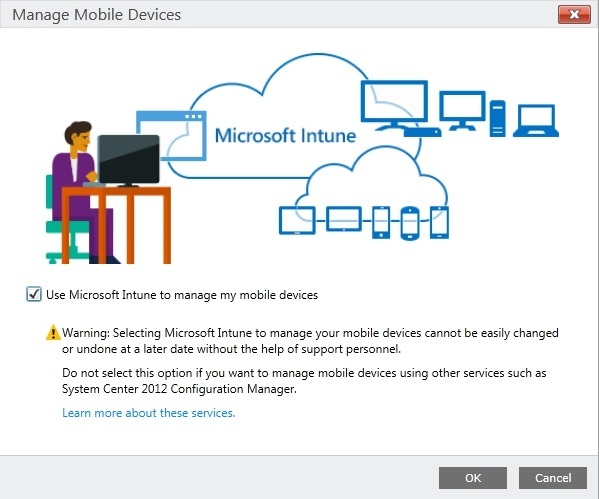 What is the maximum number of allowed devices in Intune vs Aure AD ? 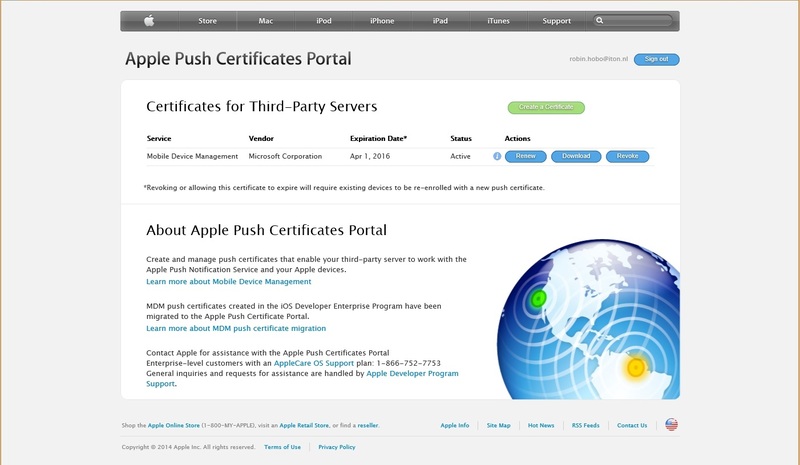 How do you connect to Internal Web Service on MAM Device thru wrapped iOS enterprise app? Is there any alternate path instead of Per-App VPN? 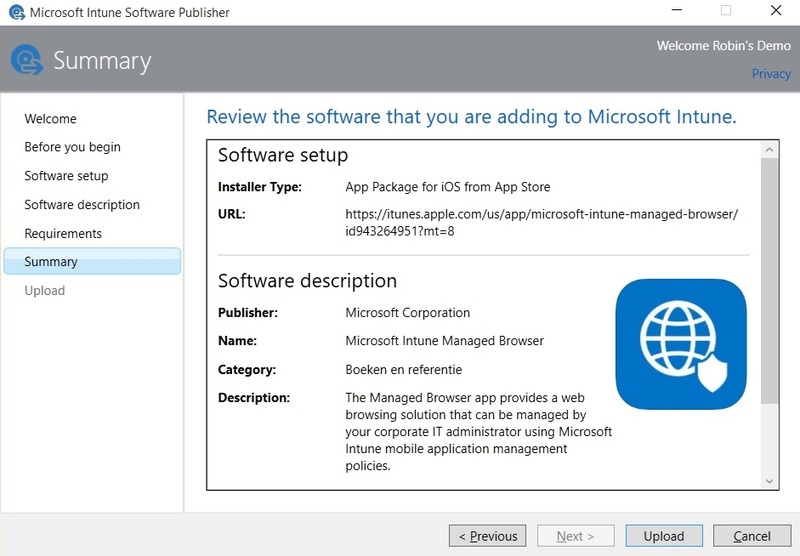 Per-app VPN is an option, but also the Azure AD Application Proxy server is an option to publish internal Web apps / SaaS apps to Azure.